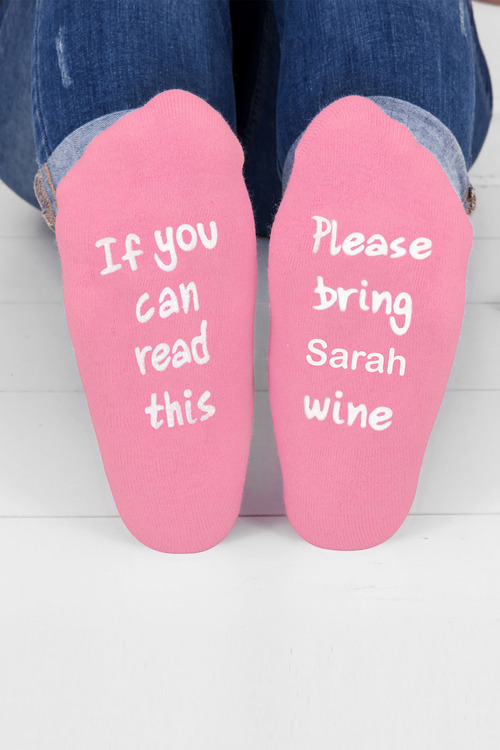 Personalised socks make a fun and funny gift - and these Personalised Womens Message Socks are the coolest we've seen yet! With a standard message perfect for that special woman in your life you can change the name to anything you like. • Standard message is "If you can read this Please bring (name) wine"